With fairly affordable telescopes available off the shelf you may ask if it is relevant for amateur astronomers to go for a DIY (Do It Yourself) amateur astronomical telescope. For example, a refracting telescope with a 45 mm dia lens can be purchased online for Rs 3500. In addition, you need time to make your telescope, including looking for material for its construction. The same is true for home-brewed reflecting telescopes. Commercial scopes are also far more elegant and robust than the ones made at home. Well, of course, you could always buy a telescope to gift to someone ! Then why should one take the trouble to make one ? The reasons are many. For one, it is fun. You will learn a lot about telescopes in the process. With practise, if you make more than one, you can bring the cost down. Commercial scopes are often less robust than they look, and you can always work on your own telescope to make it better. 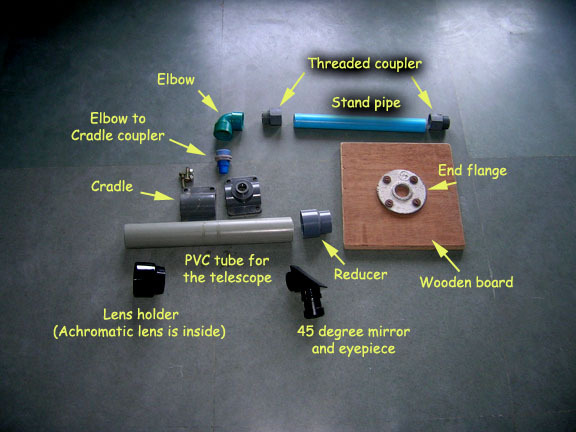 Here, we will point you towards resources that will help you make your own telescope in India. We will list telescope making workshops around the country. If you would like to organise one such workshop at your institution, and would like some assistance, let us know ! Who can help you make your telescope ? Here is a short introduction to refracting and reflecting telescopes. 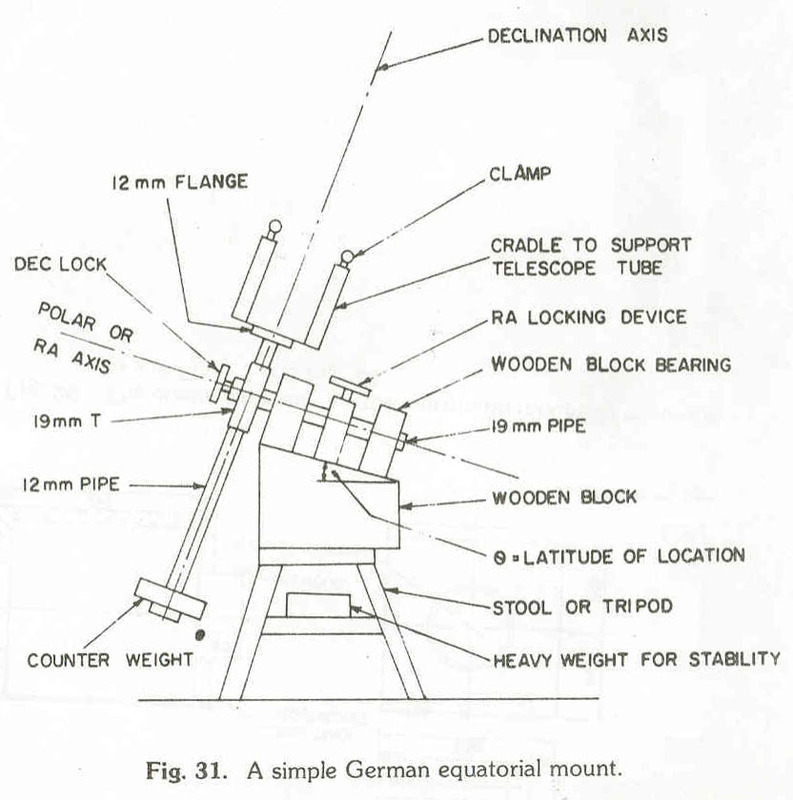 A manual for the G++ telescope, a simple refractor using an achromatic lens and a 45 degree mirror, popularised by IUCAA for the International Year of Astronomy 1999. An extensive guide to making your own Newtonian reflector, in the Indian context, is maintained by Paranjpye. Of course, the classic book that started off the telescope making revolution in India, is that of P. N. Shankar, and can be downloaded here. Nearly all planetarium and astronomy institutions across the country host or has information about local amateur groups from where you can get help. Please check their website for more information. The following institutions are actively teaching amateur telescope making.